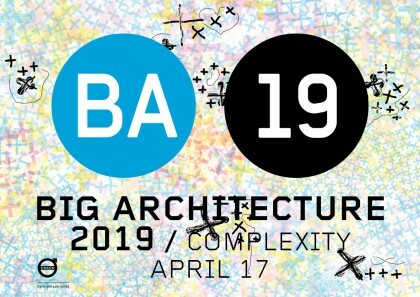 BIG SEE Architecture Award – Inspirational Visionary is intended to reward exceptional personalities who enrich and inspire architectural production, shift the boundaries in architecture and encourage creative forces in Southeast Europe. 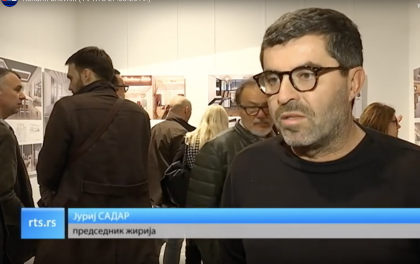 Boštjan Vuga, curator of the award will participate in a ”Visionaries Talk” as a moderator between this year’s winners Dijana Vučinić, Andrija Rusan and Janez Koželj. 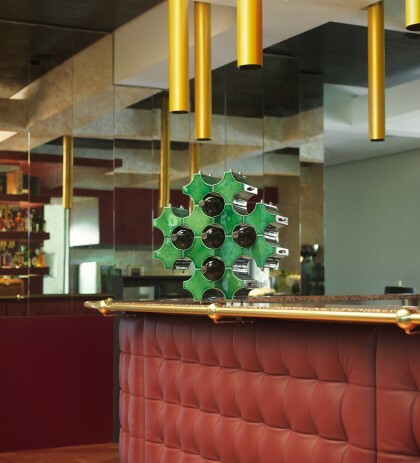 HELGA Wine Rack will be taking part in the ‘We Are Open !’ exhibition at Ventura Futures at the 2019 Milan Design Week. Arranged by The Centre for Creativity, Slovenia, exhibition We Are Open! showcases the best of Slovenian designs, designers and furniture producers with a focus on sustainability and innovation. It’s 100% SLO – meaning; made only with high-quality local ingredients. The opening of the 41st Salon of Architecture at the Museum of Applied Art opened with an award ceremony. On this occasion, Jurij Sadar, jury member, commented on the work of the jury and winners of the Gran Prix for the performed work. 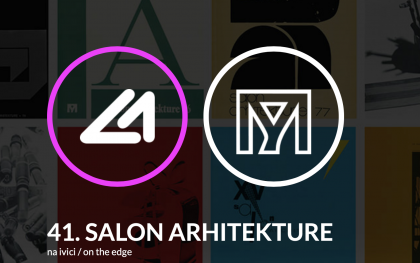 The 41st Salon of Architecture competition is organized by the Museum of Applied Art from Belgrade and presents an exhibition of international works in the field of architecture. Jurij Sadar will contribute as a jury member to this respectable architectural competition event that has a decade-long tradition and will be held between 27th March and 30th April 2019 in the gallery of MAA. 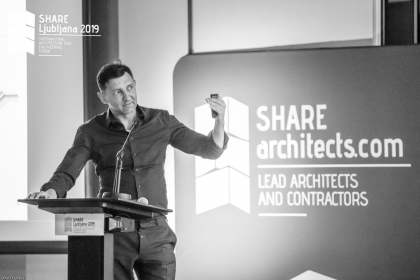 With the Faculty of SOAG nearly finished, Boštjan Vuga participated as a speaker at first SHARE Ljubljana event, explaining the basic thought, idea and inspiration behind the winning project and putting it into realization. BV »Study scape of the new building will become a space of sharing between students, educators, visitors and hopefully people, inhabitants and residents from Gent for whom the school’s interior will become an extended public space. We designed the Center of Science Ljubljana as a large covered »market place of knowledge«, as a place of production, innovation, presentation, and knowledge sharing, as a place of socializing and relaxing. Discover and learn about the whole project here. 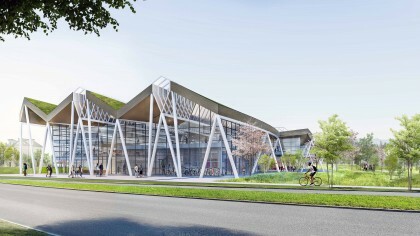 While the construction of the SOAG building, Faculty Of Social Work is nearly finished, the second out of three projects in the context of the masterplan for the Clean Marsen campus has officially begun. The new sports hall will become a northern gate to the campus. The project takes advantage of the existing structure: what is there already should be reused and adapted with minimum interventions. 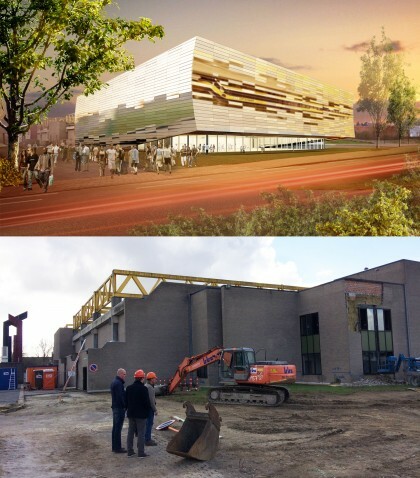 The works of Sports Hall began with the preparation of the site and with the start of the removal of core space at the end of the existing building. More of the picture gallery follows soon. 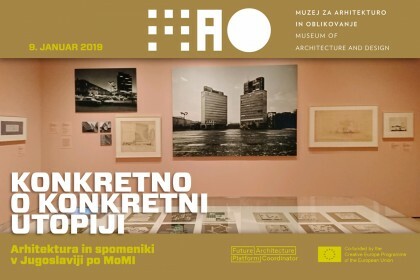 The day after the closing of the exhibition “Towards concrete utopia, architecture in Yugoslavia, 1948-1980”, on display in New York, a remarkable exhibition on the architecture of socialist Yugoslavia is also symbolically closing in Ljubljana, in the MAO. At the closing events, architects, art historians, theoreticians in researchers will spread out about the extensive architectural in the memorial legacy of socialist Yugoslavia. Boštjan Vuga will participate in conversation: Architecture in Yugoslavia, dreams, destruction and legacy. The discussion will take place on Monday, January 14th at 14:00. 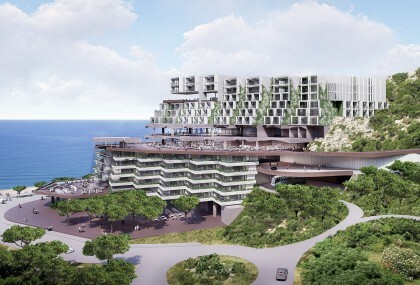 Sadar+Vuga has been invited to participate in a competition to design a new resort on the Montenegrin coast that will transform small tourist place Čanj in a new modern chic location. All contents in the project are carefully designed and distributed, bearing in mind the climatic and topographic characteristics of the site. The Maremonti resort complex also consists of several micro ambients that create the impression of compact and harmonious, and at the same time very distinctive units. It is precisely the diversity of the ambiance that gives character to this settlement – the moderation and shade of the Mediterranean forest on the one hand, and on the other hand the attractiveness of contemporary and diverse program. After winning the International competition in 2015 the project is finally in progress – Sadar+Vuga and the local partners PRG*B R have been awarded first prize in 2015 for the new Headquarters for the Supreme Court and School of Magistrates in Tirana, Albania. 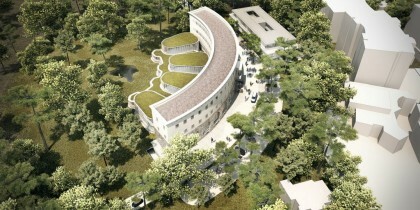 The proposal converts an existing 3.000 m2 historic building to be used for judicial offices and administration, a new addition of four pavilion-like courtrooms in the nature, and the education block for the School of Magistrates. Together these three structures will become mechanisms of justice, efficiency and transparency.